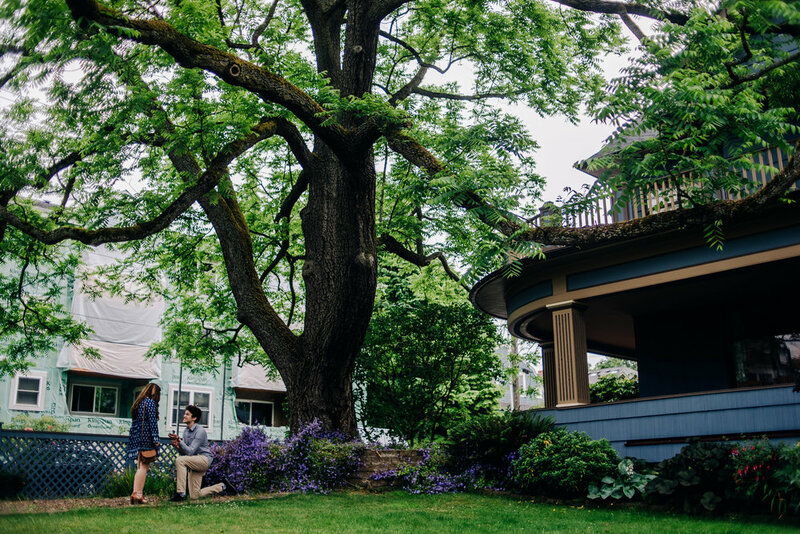 On their three year anniversary, Zack proposed to Brenna on a chilly Seattle morning, complete with power tools romantically buzzing in the background. We celebrated with a wild salmon brunch and rosé brut in the dining room of his uncle's beautiful Queen Anne home. Thank you, dears, for allowing Austin and me to be part of the start of this exciting new season!